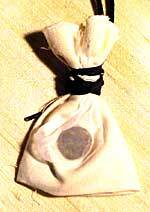 ---learn about minting methods and try to design or produce a Greek/Roman coin. A simple Bulla – courtesy of Zee Ann Poerio. B. Students can make individual mosaics, or you can enlarge the design so that it spreads onto multiple pieces of backing (e.g. poster board, foam core, etc.). Then groups of students can be responsible for completing each section of the board. This requires planning among the groups to decide on a color scheme. The end result of joining the boards together is an exciting surprise! Backing Board-choose a backing that is strong enough for the mosaic "tiles" you choose. It could be poster board, foam core, corrugated cardboard, or a thin piece of plywood or paneling if you are using real tile pieces and plaster. ---small pieces of color paper (should be thick enough that glue does not seep through too easily). If a paint store is throwing out paint chip strips, these make wonderful tiles because they are stiff and have many different hues for shading. ---egg shells: Dye first following the directions on food coloring or Easter egg dye (usually food coloring will have a color chart on the box for mixing primary colors). Let the shells dry thoroughly, then crush and put into containers. These work well for a large class project if you ask students to save shells well in advance-they are free and easy to color and glue. ---white gravel: Place in a baggie with a few drops of water and food coloring. Seal then shake until all gravel is uniform in color. Let dry on newspaper. ---small ceramic tiles or broken pieces (BE CAREFUL!). These should probably be set into plaster rather than glued. You may want to simplify the pattern by eliminating the circular border and enlarging Medusa's head. (ISBN 0-88388-000-8) contains simple black line drawings of images from Greek vase paintings which make wonderful authentic designs of gods and goddesses, a chimaera, Nereus, a wild goat, an Amazon, ancient dancers, a centaur, Heracles and several labors, a hoplite, a satyr, a maenad, the sphinx, Bellerophon, etc. ---Students can simplify any object of Greek or Roman culture or, of course, make up an original! 1. GREEK OR ROMAN VASE: This project is a little more difficult and may best be done with the guidance of an art teacher! ---Step-by-step directions with pictures for this project can be found in Archaeology's Dig Magazine, Vol. 2, Number 4, Aug/Sept., 2000. Description of vase uses, also linked to the Perseus database of hundreds of images of Greek vases. You will need: balloons, papier-mâché ingredients (newspaper cut into strips or squares, glue and water), construction paper, cardboard, masking tape, and paint. 3. Depending on the vase shape students have chosen, they can cut holes in the top and bottom of this papier-mâché "bulb" and insert a stiff piece of construction paper to form the neck and base of the vase. Tape it into place with masking tape. 4. Cut handles, top, base, etc. of the vase (according to pattern) out of cardboard and tape onto the vase. 5. Paint vase background color, then add border designs, images, etc. You may want to prepare a stencil for this part of the activity. A Coloring Book of Ancient Greece, produced by Bellerophon Books (ISBN 0-88388-000-8) would be helpful with this activity also. 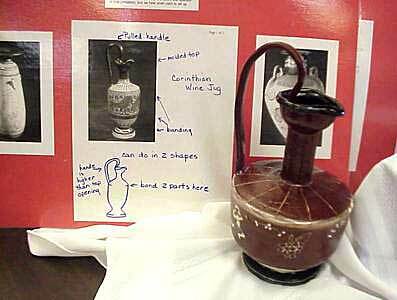 As a connected activity, when teacher Zee Ann Poerio of St Louise de Marillac School in Pittsburgh, PA, opened her school Ancient Coin Museum, a “Make a piece of Ancient Pottery” contest was run by Art teacher, Mrs C. Christen Palombo, at Bethel Park High School nearby. Above is the marvellous and well researched winning piece by Shannon Quinlisk, who received an Ancient Roman bronze coin prize donated by ACE. "Predict an Artifact": Ask each student to pick a modern-day object that he or she thinks an archaeologist will find fascinating a thousand years from now. Compose the archaeologist's record of it. Include a sketch, dimensions, and a detailed written description, including the context in which it was found. Then conclude with the archaeologist's hypothesis about the artifact's function, decoration, and identity. 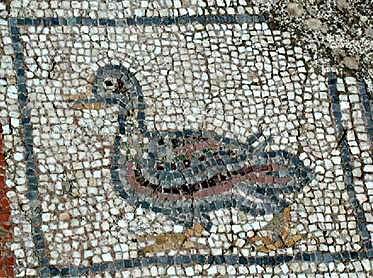 What does the archaeologist think it suggests about the lifestyle of the people who used it? 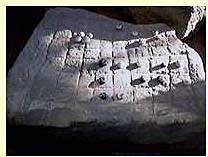 Is it broken and if so, does the archaeologist choose to merely conserve it, restore it, or reconstruct it -- and why? These journal entries could be collated to create an archaeological record of the early 21st century, and could easily tie in to the creation of a time capsule. A variation on the above assignment that might inspire students' imaginations more is this: "If archaeologists excavated your bedroom one thousand years from now, which object would they find most fascinating?" lamps from a fifth-sixth grade class at Minquon School.